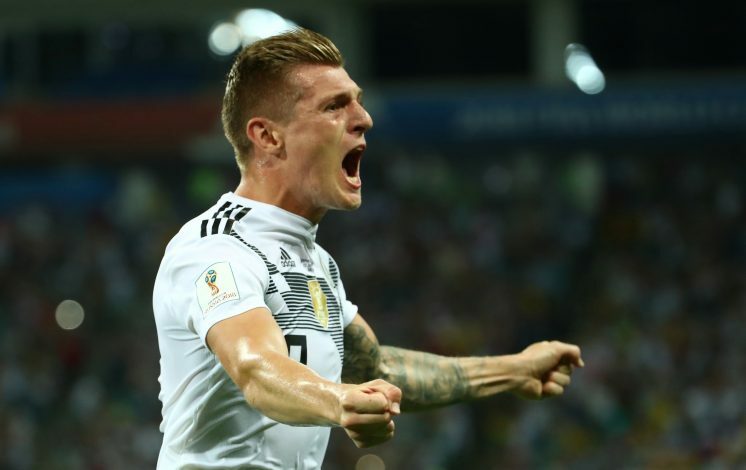 German midfielder Toni Kroos salvaged his side after an injury-time goal to get a victory against Sweden in the ongoing FIFA World Cup 2018 in Russia. This has revived Germany’s hopes of becoming the first side to retain the World Cup since Brazil in 1962. 10-men Germany appeared set to head for a draw, before Kroos scored from a sublime free-kick to seal a 2-1 win. Kroos turned out to be the hero for the 2014 world champions, and brought respite for the fans, who had their hearts in their mouths all through the match. In the 94th minute, Kroos tapped a free-kick short to Marco Reus, before sweeping the return pass into the top right corner from left of the penalty area. The Germans celebrated in front of their own fans, as there was euphoria all around Sochi. But the goal was a turning point for Kroos in saving his side and himself on the night. The Real Madrid midfielder was responsible for Sweden’s opener after losing possession of the ball and giving it away inside his own half. In the post-match interview, Kroos accepted the fact that he was responsible for Sweden’s goal, but then gave a direct reply on Germany’s fightback in the 2nd half. He said one has to have the ‘balls’ to play like the way Germany did and made the comeback. The reply has got many fans on Twitter impressed, who are already claiming that he is world class both inside and outside the football pitch. Kroos made 144 touches against Sweden, which was a new record for a German player in the World Cup since 1966.